This morning (29/6/16), the Champions Cup draw for the upcoming season was made in Switzerland. Munster fans may feel that Rassie Erasmus’ side have been granted a tricky task once again this time around but as forth seeds we should accept that it could have been much worse. So yes, it’s not a stroll in the park but following is some brief analysis of what to watch out for from each side and where Munster have a chance. 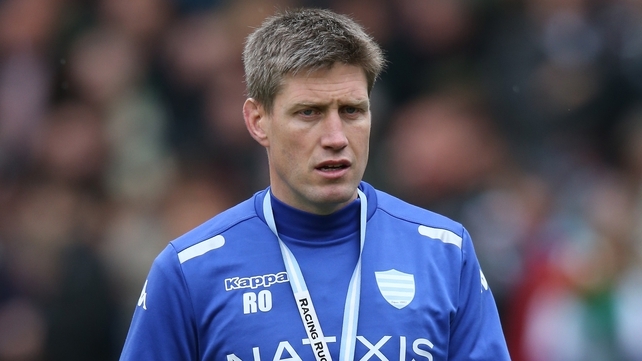 Relevance: The outstanding feature of the fixture is of course that Munster legend Ronan O’Gara now acts as assistant and defence coach of the Parisian side. The match-up is sure to be hugely meaningful to him but the relevance doesn’t stop there. Former All Blacks Casey Laulala and Joe Rokocoko return to Thomond Park also. The last time Laulala stepped foot on the Limerick grass the fan favourite waved goodbye to a successful Munster career, the latter however, became a fan nemesis during his one and only Thomond involvement back in 2008 when breaking red hearts by scoring a last gasp New Zealand try to claim Kiwi victory. Leone Nakarawa, the Fijian second row, won the Man of the Match award when Glasgow thumped Munster in the 2015 Pro 12 Final which would be Paul O’Connell’s final game for the province. Julian Brugnaut the ex Munster prop from the 2010 season is also on Racing’s books. Greatest Strength: Individuals with an ability to turn a game on its head. You may look no further than a certain Daniel Carter but the likes of Ben Tameifuna (carrying), Nakarawa (offloading) and Teddy Thomas (pace) all bring dangerous qualities which compliment each other with razor sharp effect. Greatest Weakness: Its sad to say there are no glaring areas of weakness, but if any, the frontrow is perhaps an achilles heal. Eddie Ben Arous and Ben Tameifuna, the props, earn most of their living by proving themselves as devastating forces in the loose. Relevance: The two Pro 12 heavyweights have become fierce rivals in recent seasons and will now play eachother atleast four times next season. 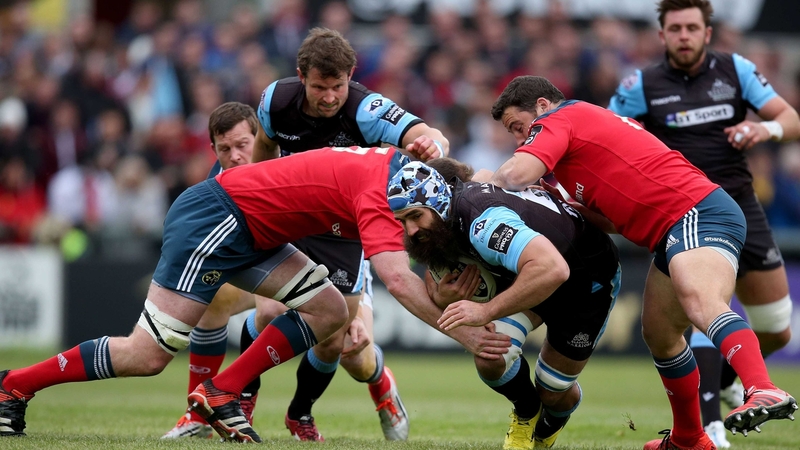 Munster, it could be said, still have a major point to prove against the Glaswegians after their Pro 12 final embarrassment to Gregor Townsend’s side in 2015 and Champions Cup rugby has emerged as the greatest stage to do so. Munster certainly have the quality to grind out a result so hopefully Erasmus can steer his troops to make amends. And never forget: Niko Matawalu BIT Donncha O’Callaghan in 2013. Greatest Strength: Head coach Townsend has groomed his team from domestic minnows to Pro 12 top dogs since his arrival in 2012. The Scottish side play an expansive brand of rugby and their ability to convert defence into try scoring opportunities in the blink of an eye is always a threat – as you might imagine. Greatest Weakness: Glasgow certainly won’t have the individual quality of their 2015 triumph next year having had Fijian flair in the form of Niko Matawalu, Leone Nakarawa and Taqele Naiyaravoro tempted away from Scotstoun in the past two Summers. The Warriors indeed didn’t even resemble their league winning form for the majority of the season gone-by without the already mentioned Matawalu, DTH Van der Merve, Sean Maitland or stalwart Allaister Kellock. Connacht sent them out with a bang in the semis while their European effort was typically timid. A great team in decline or will the Townsend effect get them through? Greatest Strength: The Tigers don’t have the most star-studded pack in the game but they posses many wise heads, epitomised by Tom Croft, which can lead them through the dark patches of games. This season their pack will be packed up by the world class duo of Matt Toomua and JP Pietersen which can only add to an already terrifying backline. Shudder. Greatest Weakness: For all the graft that their pack go through, they don’t have a strong rucking game to match the formidable backrow of Peter O’Mahony, Tommy O’Donnell and CJ Stander. Strangely, there may just be a case to made against their frontrow also. Marcos Ayerza, Tom Youngs and Dan Cole was talked up as one of the best trios in Europe before John Ryan tore them a new one last season! Last Seasons Record: Champions Cup Quarter Final, Premiership 4th.